Skin is how your character looks in the Minecraft game. 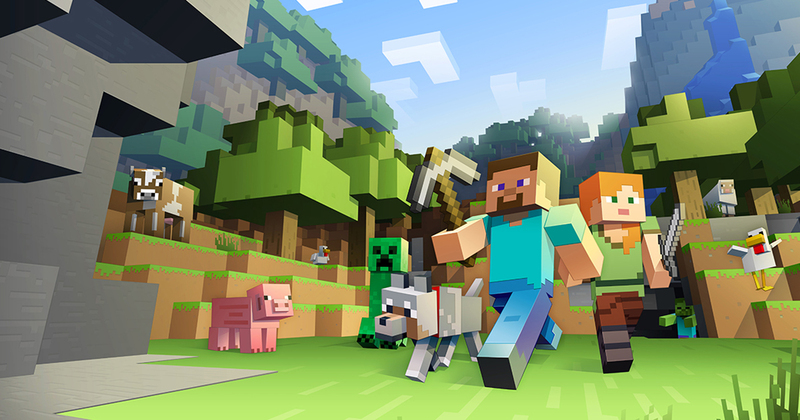 When starting to play Minecraft, all players by default get the skin for Steve. This is the typical skin in the game and most of the players look like this. There is also another default skin – it is Alex. If you play on the server as Steve, everyone will know you are a beginner. Luckily, you can add some personality to your character by changing its skin. You can play as a soldier, a knight, an alien, or any other character. If you want to see how your character looks like, press the F5 key. Pressing the key again changes the view and you can see how the character looks closer. Minecraft players do not want to look the same in the game and that’s why every gamer wants to change his appearance and show his personality by changing the skin. You can change the appearance of your virtual character in the game both in a single-user mode and in a multi-user mode. However, in a single player game, only you can enjoy the skin. Playing in a multiplayer game mode, you change your skin in order to distinguish yourself from a crowd of gamers who do not want or do not know how to download Minecraft skin PC. After recent updates to the game, players can easy and quickly change the skin of the character. It is possible to do using the built-in skin chooser where you can pick one of the featured skins. To change the skin, press on the clothes hanger icon under your character. You will see a menu with various skins. Some of them are free but others should be unlocked with the game coins. As it was mentioned above, you can also get your skins from the internet instead of using the Skin Chooser option. Online, you can find an unlimited number of Minecraftskins created and shared by the players. Find and download the skin that you like. You can do it at skins4minecraft.com where there are a lot of interesting and original skins. Open your account at the Minecraft website. Click the Profile tab in the menu. Scroll down to the Change how you look in Minecraft section. There, click the Choose File button and select the downloaded PNG file on your Windows or Mac computer. Now click the Upload button. If Minecraft was running, restart it to see the changes. Enter the game and press the F5 key several times to see how your character looks in the new skin. The update of the game to the 1.8 version made it possible to customize skins. To do this, press Options and then Skin Customization. However, keep in mind that only the most recent skins are compatible with the latest game version. How Do Skins in Minecraft Look Like? The skin itself is a graphic file in PNG format with a size of 64 by 32 pixels. If you split it into two parts, then you will get a front view and a rear view of the skin. Uninstalled skins look like unassembled cubic parts – squares of different colors. You can even create your own skins using special programs available online. how to download skin in every minecraft game ?